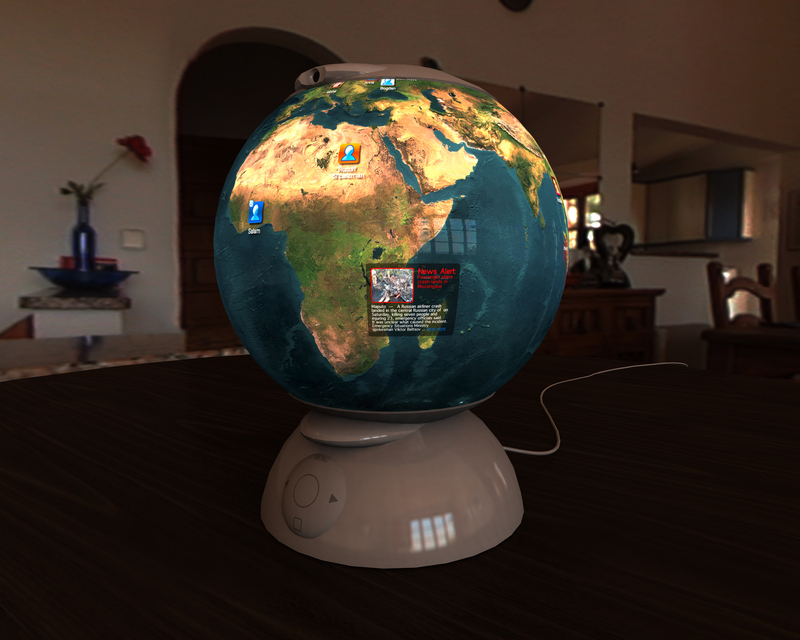 GLOOO (the working name) is a prototype of globe-shaped world browser and communicator. This device giving the view of current state of the planet, weather conditions, customized news headlines and online contacts. 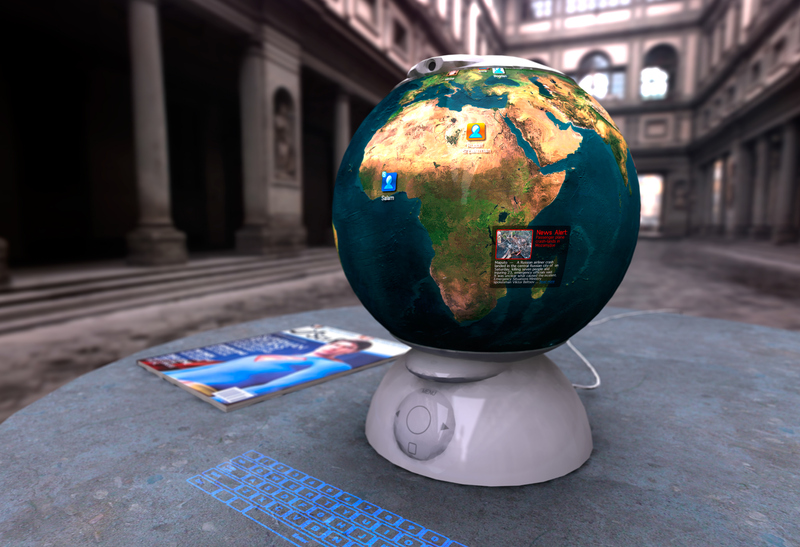 The design also includes the use of a Laser Keyboard to communicate with other people around the globe. 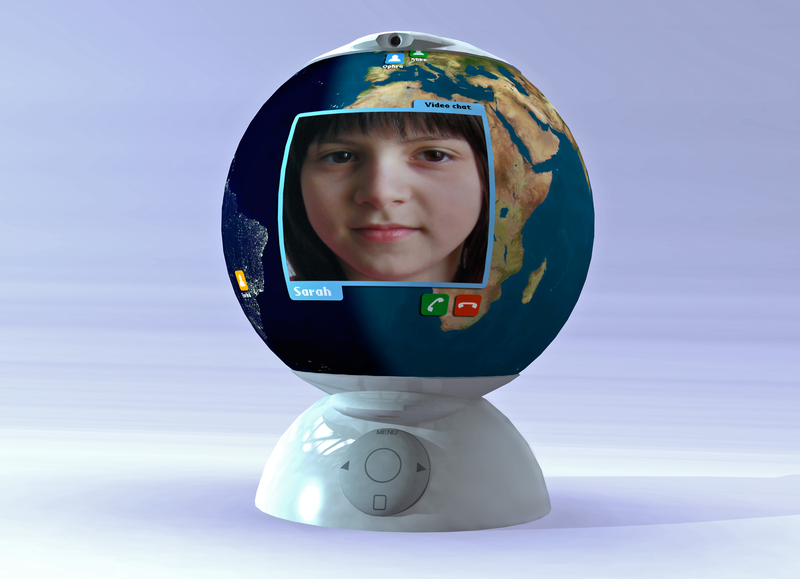 Menus and navigation of globe operated by easy-to-use touch ball, built-in camera, speakers and microphone giving the possibilities to communicate in video chat mode. Technology: spherical screen based on the technology similar to Philips e-paper, the Toppan Hi-Res Electronic Paper and Hitachi's electronic paper developments. Input and multimedia: Virtual laser keyboard, turned on when it necessary, touch ball navigation dial. Internal microphone and headphones used for video and voice chat conversations. Internet connection: wireless. Device can be used for browsing internet and use email clients. Software: Windows XP, MacOS. Device displays geographically anchored information basing of user'spreferencies, all layers are fully customizable.